The Nike Lunar Vaporstorm Golf Shoes feature a waterproof shroud, making them ideal for cold, wet conditions. The zipper locks into place, keeping the shroud securely sealed. Underneath the shroud is Nike's BOA closure system which provides a custom, snug fit and quick adjustability. Nike backs the Vaporstorm's with a 2 year waterproof warranty. I purchased Nike Lunar Vaporstorm golf shoes for my husband's Christmas present. He's been wanting a pair of all weather golf shoes for a few months now. I know he will be surprised when he opens his gift. Carl's was the best price I could find in the Internet. The shoes were delivered fast and I know they will be a big hit! Exactly as advertised. My favorite golf shoe for over 60% off! My feet will be comfy for another 18 months of 3 day a week of golf. 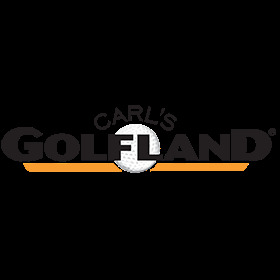 Carl's Golfland delivers again. Never disappointed with pricing, shipping and selection at Carl's. Fit is snug and almost immediately you can tell you will not have any problems with water getting in your shoes. The sinching mechanism for the shoe allows for a great sense of security. The materials and welds are great. Overall a shoe that is not needed every day but is ready when it is needed.